Kavanaugh was nominated this summer by President Donald Trump to succeed retired Justice Anthony Kennedy, and liberal opposition to confirming him has been fierce. The hearing itself saw hundreds of shouting protesters and a flurry of interruptions and stunts by Democratic senators, all of which Kennedy found disappointing. “I’m fairly confident that our Founding Fathers did not intend the process to work this way. So far it’s pretty much been an intergalactic freak show.,” Kennedy said. He credited Judiciary Committee Chairman Sen. Chuck Grassley (R., Iowa) with keeping some modicum of order, but the interruptions and violations of committee rules rankled the Louisiana senator. He went on to address the controversy that’s arisen since the hearing concluded, which is Sen. Dianne Feinstein’s confidential letter from a woman alleging Kavanaugh forced himself on her when they were both in high school. The letter, which was supposedly written with help from someone affiliated with Stanford Law School, is secret and not subject to review, and Kennedy noted that Kavanaugh himself has denied the allegation Feinstein made public. Kennedy said he was offended by how the letter was sprung onto them as the process comes to a close. 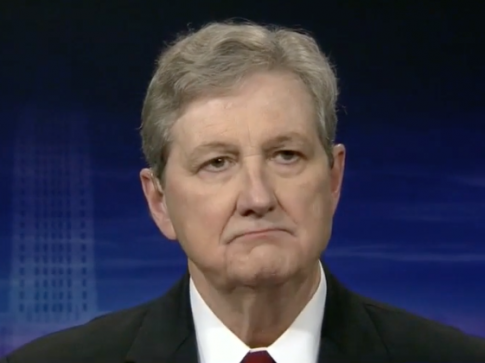 The post John Kennedy: Kavanaugh Confirmation Process Has Been ‘Intergalactic Freak Show’ appeared first on Washington Free Beacon.